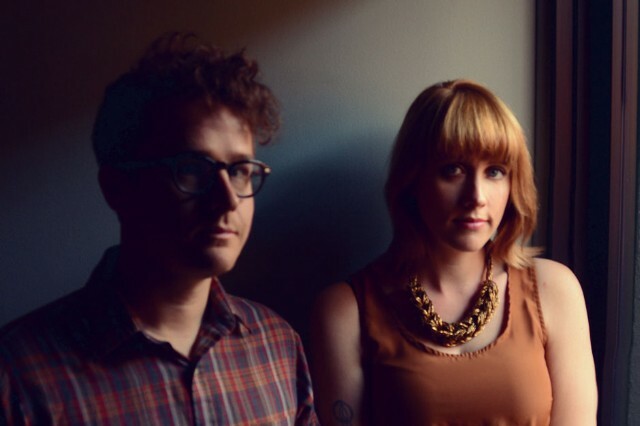 Shriek, the fourth album from Wye Oak (out next month on Merge), opens with a jittery keyboard line, making plain the Baltimore duo’s shift away from the guitar textures for which it had become well known, particularly after the success of 2011 breakthrough Civilian. That keyboard eventually folds into a stately, guiding bass line, an opening that doubles as a neat metaphor for Wye Oak’s new direction and long-evident skill at navigating the indie-rock salt mines: They’ll be at SXSW again this year, standing out as usual. The essential appeal of Jenn Wasner and Andy Stack’s music has, since their earliest days as a band, rested in their ability to craft rich, indelible pop songs, and the switched-up instrumentation on Shriek — not to mention Wasner’s rich alto — only shows how strong the duo’s songwriting foundation has become. SPIN spoke to Wasner while she was in a van, traveling through the South on a pre-SXSW tour with fellow Baltimoreans Future Islands and Ed Schrader’s Music Beat. Where are you traveling now? We’re going to Savannah, Georgia. I think it’s going to be rainy and cold, which is bumming me out. I’m pretty convinced at this point that winter is going to be forever. Never-ending winter forever, eternal despair. Do you have a crazy SXSW schedule? I remember a couple of years back, you played a lot of showcases. I set a rule—no more than two shows a day. This tour is a dream! It’s Ed Schrader’s Music Beat and us and Future Islands, and it’s a big old Baltimore lovefest. We’re having a blast. All the new stuff is still very, very new and very, very terrifying. It’s a different setup, and everything about it is more challenging — it’s harder to sing, harder to play, Andy’s setup is even crazier than it already was. We knew going into this that it was going to be a big, scary challenge, but that was sort of the idea. It’s good to surround ourselves with our comfort network of Baltimore buddies. What’s the mix of old and new songs on the set list? We are playing old songs, but it’s definitely mostly new, mostly because we desperately, desperately need to practice. Before we started, I was really nervous. We assumed that people would only want to hear the old songs —we had this weird, semi-apologetic feeling, “Sorry we have to play these new songs that you don’t know yet.” But right from the first minute of the first song on the first show, I looked out and I saw people smiling and enjoying themselves. It was the best feeling; it was a huge relief. Audiences have been really responsive and cool. It seems like the decision you made to ditch guitars was born from a really personal place. Aesthetically, the new record is very different, but I think the heart of the songwriting is still very much the same. I’m really glad to hear it makes sense in the context of what our band has done in the past. Andy lives in Texas now, and he’d moved to Portland before that. You guys collaborated remotely — do you think that not using guitars and the shift in your songwriting process went hand in hand, or did you see changes that manifested separately from each? We probably would have gravitated to a similar writing process whether we’d been in the same city or not. The ability to record and produce ideas as you go frees you up to execute more complex ideas almost immediately. We were both able to realize these ideas we’d had independently and bring them to the table, then see how the other person expanded on them. It’s a lot easier to do, at least for me, in a studio context. In the past couple of years, I’ve been teaching myself the delicate art of recording and producing, and it opens many doors in the writing context. It frees you to be able to capture these ideas and expand upon them in real time, and that’s exciting to me. I’ve followed your band almost since the beginning, and the touring schedule for Civilian seemed really intense. I think it was really cool that you took this huge leap on Shriek, where other bands would have stayed pat. There’s a lot of momentum on this record, and the way everything comes together is really beautiful. This is the whole point of it for me — first and foremost, this band is a songwriting vehicle. Civilian is the record people are most familiar with, but since the very beginning, we’ve been making records that are all over the place aesthetically. So that’s nothing new, as far as I’m concerned. The guiding force of this band from the get-go has been the strength of the songs themselves. It’s never been about the guitar — we gravitated toward that setup for a while because it was working for us and we were excited about it. But once that becomes tapped out, you have to move on. It’s absolutely better from all angles to make a great record you believe in that feels inspired and that might sound different to some people, than it is to try and phone in a record that sounds like what people are going to expect. People who like our band appreciate good songwriting; whether or not we pull this off rests on the fact whether the songs are good enough. Has your approach to singing changed at all? The thing about singing that’s so weird is that [your voice is] an instrument that you can practice and develop like any other instrument, but it’s also your body. As I’ve developed musically, the things I want to achieve with my voice have expanded, and I learned I have to work and practice to reach those goals I’ve set for myself. Also, in the middle of touring for Civilian — one of the many things that made that period of time so difficult — I got vocal-cord nodules. I sang through a pretty bad cold, and I just never stopped. I lost my voice and I kept pushing through — basically doing, I now know, everything wrong. Since that happened, I realized how fragile [my voice] actually is, and I started taking a lot better care of it. I can’t tell you how cool and rewarding it is to put time and effort into something and see results, especially when it’s your body. The lyrics that popped out as I listened to the record were all about sleeping and dreams, and I wondered if you’ve been sleeping a lot, or not sleeping a lot. Oh I’ve been sleeping a lot! I’m a sleeper, it’s true. This record is one of those records about exploring your own inner space. And one really obvious way to talk about that is to talk about sleeping, and dreaming, and the visualizations that happen inside your head. I feel like I went through this really intense journey, but it all happened in the confines of my own skull. A lot of my songs are about relating to other people. [Shriek] is in a big way about relating to myself and learning how to place myself in the world and accept the way I am and the things I do, and just not feel the sort of weird guilt and shame that I’ve struggled with in the past few years. It was a huge hump for me to get over creatively and personally, and the record is special to me for that reason. There’s no detachment from what I do — for whatever reason, that’s the way I function creatively. That’s a hard thing to do, especially when you’re not feeling good. People’s instant defense mechanism is to shut down; depression isn’t necessarily feeling sad, it’s feeling nothing. You just detach, because it’s too much. But if I detach from that, I’m detaching from the source of all my inspiration. The act of re-engaging with those feelings is very painful and very vulnerable, but very necessary as far as getting back to a place where I can create again. For that reason, the record means a lot to me. I hope people connect with it, but when it comes down to it, it was something I needed to make first and foremost. So I’ll be happy with it either way.